While every season brings unique touches to a Biltmore visit, springtime 2018 offers new estate offerings. This year’s Biltmore Blooms celebration includes not only flowers coloring acres of gardens, but also a major new costume exhibition, a new wine release and botanical art installation in the Winery, and much more. Biltmore’s grounds flourish as a progression of colorful blooms blanket the estate, paying homage to the legacy of Frederick Law Olmsted and his final professional project – George Vanderbilt’s gardens at Biltmore. The estate’s celebration of Olmsted’s vision and the beauty of springtime, Biltmore Blooms, runs through May 24, 2018. In the earliest days of Biltmore Blooms, guests enjoy the tropical hues of orchids in the Conservatory as the exotic flowers reach peak bloom in March. Crocus, forsythia and daffodils are among the first blooms in the outdoor gardens, which give way to thousands of tulips in April with a concentrated tulip bloom occurring in Biltmore’s Walled Garden. May promises irises, roses, and acres of azaleas with mountain laurels and rhododendrons close behind. The estate’s bloom schedule continues into the summer. For vacation planning during Biltmore Blooms, stay up to date with what’s currently flowering with weekly reports at Biltmore.com/bloomreport. This spring, visitors have the added bonus of touring a special exhibition included with regular estate admission, Glamour on Board: Fashion from Titanic the Movie. The first large-scale exhibition of fashions from “Titanic,” the Oscar-winning film, runs through May 13, 2018. The exhibition represents the extensive wardrobes preferred by transatlantic travelers like George and Edith Vanderbilt in the early 1900s. Guests will learn more about the Vanderbilts’ extensive travels while viewing the exhibition’s costumes. Mother’s Day Brunch, May 13: Mother’s Day brunches are being served at both The Dining Room at The Inn on Biltmore Estate and Deerpark Restaurant. Chihuly’s first North Carolina garden exhibition: Biltmore will unveil its first art exhibition ever in its historic gardens when Chihuly at Biltmore opens on May 17, 2018. 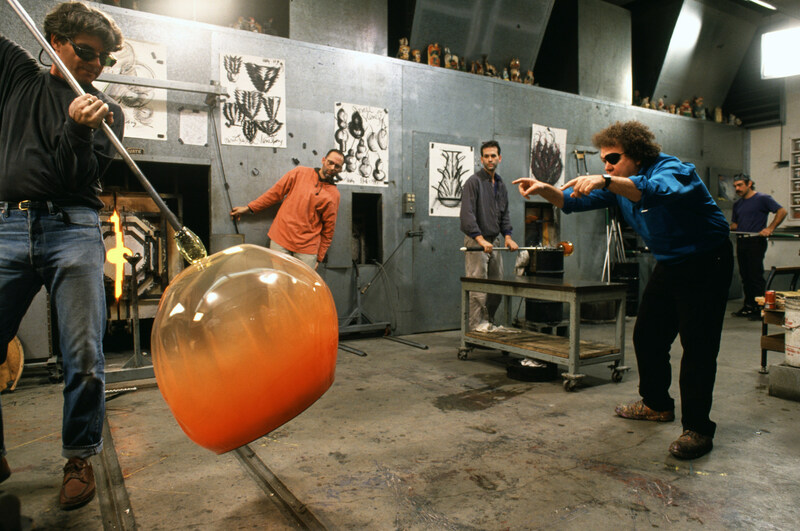 The exhibition will feature the works of globally-renowned artist Dale Chihuly, and will run through Oct. 7, 2018.A leader in the development of glass as a fine art, Chihuly is celebrated for large architectural installations that have captivated viewers around the U.S. and throughout the world. The Chihuly at Biltmore exhibition will feature awe-inspiring artworks in both Biltmore House and the gardens, and is included in Biltmore admission. The most visited winery in the U.S. gets a refresh this spring with a botanical display and a new wine release. A Botanical Work of Art: The Winery will feature a one-of-a-kind multimedia installation featuring handcrafted paper and metal blossoms – some as large as 4 feet wide. Inspired by George Vanderbilt’s passion for fine arts and our historic gardens, these blooms are reminiscent of magnolias, dogwoods, poppies, and roses at their most vibrant. Limited Release Spring Seasonal Wine: The 2018 Spring Wine-a-Rosé features fruit-forward notes of strawberry, kumquat and lime. Spring days are perfect for exploring Biltmore’s 8,000 acres. The Outdoor Adventure Center offers Segway tours, horseback riding, carriage rides, fly-fishing, biking, kayaking and float trips along the French Broad River, the Land Rover Driving Experience and more. A complete estate experience is available with overnight stays at Biltmore’s two lodging properties. 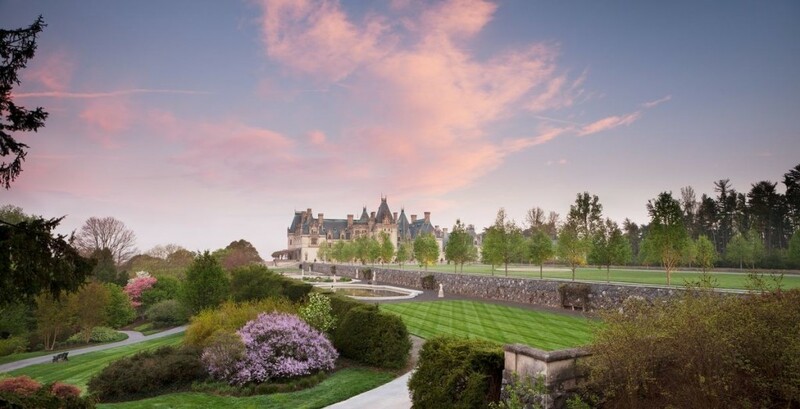 The four-star The Inn on Biltmore Estate is offering a variety of packages this spring, including The Inn Estate Escape Package available through May 16. Guests will enjoy the Chef’s Breakfast Buffet in The Dining Room daily, valet parking, as well as length of stay estate admission. Steps away from Biltmore Winery, the Village Hotel on Biltmore Estate offers casual relaxation and quick access to restaurants, shopping and outdoor adventures on the estate. To learn more, visit www.biltmore.com, or call 877-BILTMORE.